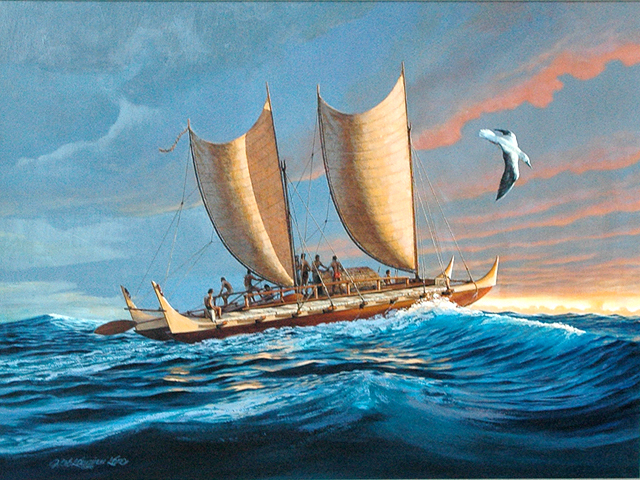 ​The Hōkūleʻa is a Polynesian voyaging canoe built and navigated entirely in the style of the native Polynesian people. In June 2016, it plans to dock in New York City. Hālāwai is working with PVS to pave the way, organizing logistics, spreading the word, and planning events leading up to and during the Hōkūleʻa's visit. Learn more about the voyage and keep up with the latest news at the Hōkūleʻa's website. ​We'll be keeping this section updated as we know more, so stay tuned! See a complete list of upcoming events here. June 5th, 9:30am - 4pm, North Cove Marina: The Hokule'a's official arrival in New York City! Join the Hōkūle’a crew, New York City's Polynesian community, and representatives from the area's Native American groups in a welcoming ceremony that highlights ancient Hawaiian welcoming protocols and traditional welcoming practices of the Lenape, Shinnecock, and other First Nation groups. Recent research by faculty and students of the Kamakakūokalani Center for Hawaiian Studies has shown that there are a number of Hawaiian and Tahitian temples built in ancient times with one wall measuring 0˚ North. Such temples were used to track the movement of the sun through solstice and equinox, and ordered the worship of Akua or Elemental Gods. 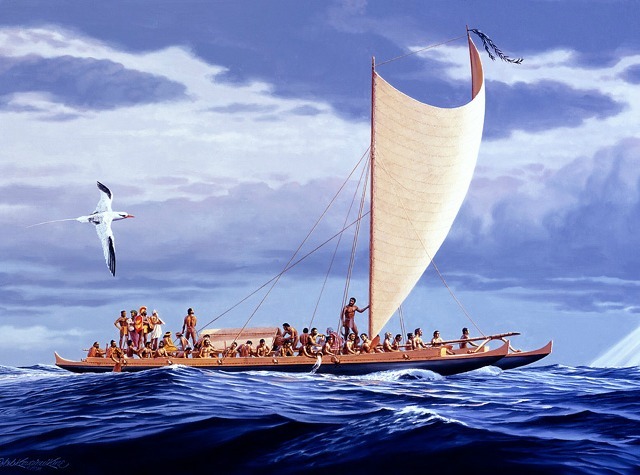 The sharing of this technology was made possible by Polynesian voyaging canoes like Hōkūleʻa! Come see how the ancestors did it! Find more info here. On behalf of the ‘Imiloa Astronomy Center of Hawaii, Hōkūleʻa captain and navigator Chad Kālepa Baybayan and apprentice navigator Celeste Manuia Haʻo introduce the art of wayfinding the ocean with a system of non-instrument navigation and share their knowledge that “in losing sight of the land, you discover stars.” Learn more here. ​See "Hawaiian: The Legend of Eddie Aikau" on the big screen at Syndicated, an intimate venue passionate about film, food, and drink. The film will be followed by a musical performance and a Q&A with Solomon Aikau, president of the Eddie Aikau Foundation and Eddie Aikau's brother. More information and tickets here. Crewmembers from Hōkūle’a will bring an evening of stories from the Mālama Honua Worldwide Voyage. The evening will include a panel discussion with veteran crewmembers from the voyage, after which members of the audience will have an opportunity to ask questions. More information here. The annual outrigger canoe race will have a special guest - the Hōkūle’a! Come see her docked at Pier 26, watch paddlers compete, and join in the days other festivities. Come visit the Halawai booth to say hi! More info here. June 18th, 12pm - 5pm, Governors Island, Annual Halawai potluck and Hokule'a Farewell! For almost 30 years, Halawai has gathered the Polynesian community in Central Park for an annual potluck feast and kanikapila in Central Park. This year, we have something extra special planned. The Hokule'a will be docked on Governors Island, and our annual picnic will also be the farewell party for the Hokule'a and her crew. All the details are here. We're so excited for the Hokule'a's arrival, and we want the rest of the city to know all about it! Join our mailing list, and we'll let you know about upcoming events and opportunities to get involved.